Cassandra Bainbridge is somewhat of a bluestocking. She loves reading and has a fascination with hot air balloons. Her fascination with them rules her life, except when she’s around one man. Her passion for him has sparked some less then ladylike thoughts and actions. It’s a shame he has an extreme dislike for her other passion, balloons. When an accident happens leaving her with massive scars and barely able to walk Cassandra calls off he engagement feeling like it’s God’s punishment for the liberties she and her fiancé have taken. Geoffrey Giles has become the new earl of Whittaker by force after his brother dies leaving him with everything. It’s a role he doesn’t want and he knows that Cassandra doesn’t want it either. After she gets burned and calls of the wedding, Geoffrey goes home to lick his wounds and stop a revolt of the Luddites, the people threatening to take down all his family, and other families, have worked for. But he still needs to convince Cassandra that he still loves her scars and all and he can’t be in two places at once. The attraction that has led them astray too many times is still there and it makes it difficult for Cassandra to hold to her convictions. The more Geoffrey tries to convince her that he still loves her the more Cassandra doesn’t believe him, but danger keeps thrusting then together despite the fact that they try to avoid each other. Cassandra just wants to fly in her balloons and read some books, Geoffrey just wants Cassandra in his life as his wife. Can Geoffrey convince Cassandra that he loves her as she is or will Cassandra lose the best thing to happen to her? Will Cassandra convince Geoffrey that balloons aren’t so dangerous or will Geoffrey forbid her to ever fulfill her dream of riding in one? Will Cassandra be able to believe that her scars don’t make her ugly or damaged but beautiful in her strength? I was actually really excited about this book. Having read two other books by this author, I was excited to see what else this author could do. I was a little disappointed in this book. Compared to her other series this story really wasn’t as good. The idea that you would break up an engagement because of some kissing and because of some scars is kind of ridiculous. If you loved somebody, would you give them up because of an accident? The storyline was a little unrealistic to me. The Luddite revolt and everything that went with it seemed probable and I could see that happening, but Cassandra’s view of her romance with Geoffrey is strange. The feelings of inadequacy would arise after you’ve been burned so bad you can barely walk, but I feel like the Cassandra went a little melodramatic on me by saying it was God’s punishment for their actions, actions that were considered scandalous back then but now are just part of most relationships. I feel like if Cassandra wasn’t so adamant that that was God’s way of saying that they were bad for each other and instead it was more about the fact that she felt inadequate to be the wife he needs now, it would’ve greatly improved the story. The romance was a typical Christian genre romance. Not much passion or many intimate moments between the characters. The romance lagged at times and during certain points of the book it actually took a back seat to the trouble with the Luddites. The ending of the romance, however, was really sweet and filled in a lot of missing pieces to the puzzle and touched me, but overall this isn’t a romance that will be remembered for years to come. The suspense element was also typical of this kind of book and was really easy to figure out. I didn’t want to but I figured it out before a quarter of the book had gone by. However, you don’t pick up the book for the suspense you pick it up for the romance, so this suspense was a nice surprise though an easy surprise to guess. It adds a bit of tension to the book and adds a little mystery for people who aren’t avid suspense readers. The suspense, though easy to figure out, was an added plus to this book and added some distraction from a lackluster romance. This author made me a fan with her first book with Revell and I was excited for this one. 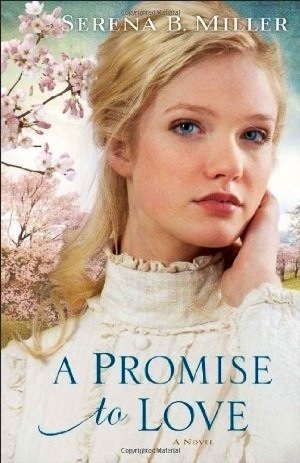 Though, it was a little disappointing, this book isn’t much different than most historical romances in the Christian market and for those of you who enjoy that, you’ll probably love this book. I do intend to still read more by this author. I’m still a fan and probably will be for a while. I loved her midwives’ series and hope she returns to something more similar to that. Overall, a good average Christian romance, but it can leave the reader wanting more. I recommend this for anyone who likes a complex romance without too much passion. This book is perfect for adults, but I think teens could read it as well. I give this book a three out of five. Elise Finster and her British mistress are on a mission to find her mistress’s uncle, the new heir to an estate in England after he came to America and just disappeared. Elise is determined to guard and help her mistress, Lady Anne, even if it means she has to travel in a covered wagon across the prairie to Oregon. Now all they need to do is spend six months out in the open and in the sun. After losing his wife on the Oregon Trail, Edwin “Eb” Bentley believes the last thing he needs is a woman. So when he has two unprepared proper ladies trying to get to Oregon, he feels nothing but contempt. Until he gets to know the two ladies, especially Elise, and sees how hard they’re trying to learn. He finds himself attracted to Elise despite his best efforts to not be. As their attraction grows, they find that someone is following them, for reasons the must find out. They need Eb’s protection from their unknown enemy that always seems to be right on their tail no matter what they do. Elise also has to figure out whether she wants to follow her heart or follow her mistress and finish the mission she started. Will Elise pick her heart or her obligation to Lady Anne? Will Eb be able to keep them safe along the trail or will their enemy get to the ladies despite his best efforts? Will Lady Anne find her uncle or will she have to return to England in defeat? Who is following them? Why is he following them? Will the find out before something happens or after? Like most books, I picked this one solely because of the cover. From the cover I expected to get your average Christian romance, nothing fancy, nothing too passionate and that’s exactly what I got. In this book’s case though, I was more interested in the quest for David Stone than I was interested in the romance. Don’t get me wrong, I wanted to see Elise and Eb end up together, but it wasn’t my main focus of the book an I feel like the author’s focus wasn’t on the romance either. The premise of this book is great, two English high-bred ladies strike it out on their own on the Oregon Trail while searching for an elusive uncle. The execution wasn’t quite as good unfortunately. Having a story set on the Oregon Trail is basically any reader’s and writer’s historical dream. You kind of expect to get a wealth of information about the Oregon Trail and the hardships people faced crossing it, but unfortunately that information was sorely lacking dropping this book’s potential in my opinion. I felt that the romance of this book was kind of an after-thought. It seemed like for most of the book they couldn’t stand each other and then all of a sudden, they’re attracted to each other. However, the parts that had romance in it, we’re cute. I loved the culture clash turned into romance. 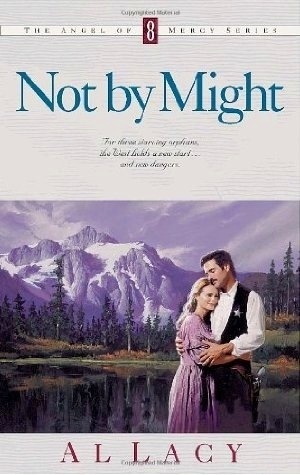 Where else but a romance novel can you have an English maid fall in love with an American scouter slash rancher? Though the execution of it was lacking the premise and parts of the romance were keys to an ideal romance. The storyline of this book was okay. The story lagged in some areas but the parts that didn’t were enjoyable and kept me hooked, making me hesitant to put the book down. The book ends on a cliffhanger, but, thankfully, not a suspenseful one. It’s an ending that makes you want read more in the series but if you didn’t, you probably wouldn’t forever wonder what you missed. For the most part I enjoyed the storyline and its execution. This book is great for a quick read but if you’re expecting more than a typical Christian romance with a little mystery you will be sorely disappointed in this book. I do intend to read more in this series and more by this author. Though this book wasn’t the best, I feel like this author is a good author and I’m curious as to what else she can do. Overall, a nice typical Christian novel, but doesn’t stand out too much other than the open ending. This book is perfect for teens, adults, and possibly even younger readers. Fans of this author will probably love this book. I give this book a three out of five. Hadassah’s life has changed forever. Her family is dead and she is now a slave girl to the Valerian household. She now finds herself under fire for not only her race but her faith as well. Hadassah now has to struggle with obeying her master and following her faith and obeying God’s calling, even if it costs her everything. Even if it costs her a life with the handsome son of her master. Marcus’s life has always involved chasing pleasure and he sees no reason why it’s wrong. When he meets the bony plain looking Jewish girl he thinks his parents are insane to take her. Until he starts to get to know her and see the beauty within. His former life now has little temptation and he wants nothing more than his sister’s little Jew. If only she would let him. While their attraction grows, Hadassah’s master, Julia, grows more debased looking for the pleasure she tries to find in all the wrong places. Hadassah feels a love for her master but it’s the love for her sister’s brother Marcus that scares her. She can’t have a life with him if he scorns her faith and she feels like a failure because she can’t show him or Julia that God is so much more than what they’re looking for. Will Julia turn to God or will she continue to live a lifestyle that will slowly kill her? Will Hadassah show Marcus who God is or will Marcus scorn her for her efforts? Can Hadassah and Marcus have a life together despite their differences or will those differences tear them apart? Will Hadassah’s fear overcome her faith or will she stand firm in the one area she’s scared most to talk about? I had no idea what to expect with this book, but I can tell you that this is nothing at all what I would’ve expected. If you’re looking for a light-hearted romance novel with a perfect ending, skip this novel completely. If you want a gritty, realistic novel with a heart-tugging ending, then pick this one up. This book tugged at my heart and I found myself with years in my eyes on quite a few occasions. Also, if you want a fast-paced book, move along, unfortunately, this book can get a little boring at some parts. But the overall story is worth the slow parts. This author gave a perfect look at Rome in the first century and you can see the parallels that we are taking in the way we live our life, though it wasn’t intentional. She described the lifestyle without too much drama or sugar coating it and made it extremely realistic. I learned quite a bit from this book about Rome and I always love to learn something new from a book, particularly from this timeline. Like I said, if your looking for a romance with a perfect ending you will be sorely disappointed in this novel. The romance in this novel is more Marcus wanting her and Hadassah denying him. You pretty much spend the whole book hoping that it works out but kind of knowing that it probably won’t at least not in this book. Despite that feeling, I actually liked this ending, it made the book more emotionally involving. The ending of this story will definitely drag you through an emotional roller coaster. Despite the fact that the ending isn’t picturesque and can be considered terrible because it’s the opposite of what you want, I loved it. I think it secured the author’s point more solidly and completely changes your view of everything. This book, including the ending changed me and my view of my faith. This author had a huge hit with this book. It’s evident to me why over two million people have read and loved this book, because I’m one of them. This book makes your view shift and takes you into the view of the persecuted. It takes you on a journey that you hoped you’d never have to go on. I fully intend to get my hands on the other two books in this series, because you can’t just stop after the first book. I’m now a huge fan of this author. Overall, a great look into the life a Jewish Christian in Rome, can be considered horrifying with some of the descriptions, though I don’t think it was intended to horrify just solidify the author’s point. I don’t recommend this for little kids, but adults will probably love this book. I give this this book a four and a half out of five. Nurse Natalie Fallon has accepted a new job in a hospital in a completely new town in a different state. She moved to help her mother with her illness but also to get away from the memories of her broken relationship. She finds herself in love with her new job and the people she works with, until the relationship she has been running from catches up with her. She finds herself caring for her former boyfriend Rex Rawlins who is staying in the hospital’s emergency room, paralyzed from the waist down. She finds that the feelings that she thought that she lost for him weren’t gone at all. They were just buried waiting for him to appear again. Now they must find whether they are both willing to risk having a life together. Meanwhile, her friend Breanna Baylor Brockman finds out her husband, John Brockman, is riding into a dangerous trap while trying to capture a notorious criminal. She now has to try and stop her husband before she loses him forever. Even if it means she has to put her life in danger to save his. Breanna just prays that if she gets to her husband in time he’ll heed her warning and turn back. Will Natalie and Rex be able to have a life together or will their past and present keep them apart? Will Rex be able to see that being paralyzed doesn’t matter to Natalie or will he push her away? Will Natalie be able to love the man who hurt her or will she refuse to be hurt again? Will Breanna be able to get to her husband before the ambush or will she lose her husband forever? This is the first time this has ever happened to me and I hope this doesn’t happen again. I didn’t actually finish this book. I couldn’t. I’ve always forced myself to finish books before, but this one was so much not my preference that I just couldn’t bring myself to finish it. This book might be good for some people but for me it jus wasn’t even worth trying to finish. This book is so preachy. I never really understood this term until now. Prayer and God is mentioned on almost every page. Also, the characters like each other instantly because of the fact that they’re Christian. Not only is the entire hospital, minus one or two people, Christian, but the entire hospital knows whether or not you are one within an hour. Now don’t get me wrong, I love it when the author puts their faith into the book, but this book was just overboard and I feel like that can do more harm than good in converting someone. I can’t really judge the romance part of this book properly because even though I’m a third of the way through it, there was none. Natalie and Rex haven’t reconnected yet and the only intimate moments are between the married couples, which are surprisingly sterile and stiff for married couples. There was even an argument between the men about who’s wife is prettiest. It was kind of cute but also kind of ridiculous as well. The storyline was kind of boring. The most interesting parts of this book was the shoot-outs and only then I read with mild interest and nothing more. Maybe I couldn’t get into the story because of the fact that I started at book eight and not book one. But I felt that this book was trying way to hard to be something that it wasn’t. The storyline wasn’t bad but it wasn’t great either. Like I said, I maybe didn’t like this book because I started one book eight instead of book one. I didn’t have any opportunity to like the characters. Maybe people who have the read the first seven in the series might like this book but I just couldn’t finish it. Maybe later I will finish this book but I know that it won’t be for a while. Maybe if it were a different series, I might read a book by this author but I’m not promising anything. I hope this isn’t the best this author can do. Overall, I couldn’t even finish this book. Maybe those of you who have read books by this author previously or read books in the series will like this book but I couldn’t. This book is perfect for those who want a book filled with faith. I give this book a one out of five. The worst score ever given by me and hopefully the last time I will give it. Ingrid Larsen arrives in Michigan, from Sweden, with little more than the clothes on her back and a determination to find the brother that disappeared into the dangerous logging camps. Destitute, she finds a job as a maid at a wealthy home in White Rock. After getting beat by the lady of the house, Ingrid abandons her job and runs to a kind woman for protection. Joshua Hunter just lost his wife to mysterious circumstances and the town believes he’s the cause of her death. The threat of losing his children is consuming him and when a kind immigrant, Ingrid, offers to marry him in order for him to keep his children, Joshua, thinking about the prospect of losing his kids, accepts. Now, he not only has to get over the fresh death of his wife, but somehow now live with a new one completely different from his first. As the months go by and Joshua sees how doggedly Ingrid cares for his children he can’t help but appreciate her arrival and the fact that she has stayed despite all he’s done. And Ingrid is now in love with not only the kids but their father as well and she has a determination to do anything possible to keep them safe and make sure they’re loved as well. But now all they have to do is somehow make their marriage a real one. Can Ingrid and Joshua manage to make love out of convenience? Can Ingrid show Joshua that she will love him as fiercely as she does his kids if only he would let her? Will Joshua be able to move on from his wife’s death and embrace a new chance at love or will he spend the rest of his life living in the past? Will Joshua ever be able to be attracted to someone completely different from his first wife? I don’t know quite what I expected from this book, but I certainly didn’t get it. This was unique in certain areas but it lacked in others. The author created an excellent example of what could come of a marriage of convenience but it also left me feeling empty at the end because of some things that were overlooked that I felt were important. However, this story is enjoyable in its own right. The history in this book is incredible. The author really got her facts straight and enhanced the historical aspect of this book. I felt that all of the historical facts were melded into the storyline beautifully and I learned a few thing that I didn’t know before particularly about Michigan and General Custer. I always love to learn something in a fiction book, it makes reading them a little bit more worthwhile. Naturally because of the fact that this story is a marriage of convenience and five kids are involved, the romance in this book is kind of lackluster. There are tender moments between Ingrid and Joshua but overall this really isn’t a romance of dreams. In fact, (SPOILER ALERT) I don’t even think the couple tells each other they love each other. That is a HUGE oversight that I think greatly reduced the impact of the romance. My favorite part of this book definitely has to be Ingrid’s protectiveness over her family. She literally would work herself until she died if it meant that her family would be safe. I loved how fast she fell in love with them and started considering them hers. Her protectiveness definitely made the book and made this book memorable. I absolutely loved the tenacity in which Ingrid made sure her family was okay. This author made a memorable book but not really a memorable romance. I felt that this book was good if only there would’ve been just a little bit more romance, then it would’ve been a great book. I do look forward to reading more from this author and seeing what else she can conjure up. I also want to see if this romance, or lack of, is normal or if this was a one time thing. Overall, this is a good book but with the lackluster romance it was hard to say that it was great. I recommend this for a fan of cute romances or even for younger readers. I give this book a three out of five. Detective Frank Campello just lost his partner in an ambush and is now trying to get things back to normal while trying to do his job. When he’s paired with Detective Andy Polanski, a man who told of a crime involving two officers and a man whom he has no respect, he is just trying to keep his contempt for the man in check. Together they’re assigned to the homicide of Trina Martinez and what seems like an open-shut case. An unfortunate girl at the wrong place at the wrong time. Little do they know, nothing is as it seems. They start uncovering a huge secret and a determination to keep it a secret. A wall of silence formed by powerful interests halts their progress and makes their inquiries a lost cause. Not only does their investigation stir up trouble but it puts everyone involved lives in danger. A simple case with anew partner turns into a nightmare. Enlisting the help of reporter Christy Lee, a stubborn journalist that refuses to give up on a story she knows is important, puts them under immediate fire. With Christy’s help they hope to fight the system and hopefully smoke out the criminals. As they start to have a growing respect for each other, they start to find out that this secret is a lot bigger than they thought. Will Frank ever be able to see why Andy did what he did to his fellow officers or will he forever view him as a snitch? Will the trio be able to catch the elusive killer or will they end up just another victim? How will the trio fight a system that wants to keep this secret buried as deep as it can get? I’ve never been a huge fan of police suspense. I feel like they’re pretty much predictable and this book didn’t change my opinion in that respect, but it did try. Though this book has a pretty predictable storyline, it ended on a nice nail biter with an interesting cliffhanger. Though cliffhangers drive me crazy, I do like them, they make me want to read the next book in the series, so it’s safe to say that I have a love-hate relationship with cliffhangers. Like I said, the storyline is pretty predictable. It involves mob influence, corrupt politicians, and curry or cops. Sounds pretty typical of every police story ever right? However, despite its predictability, the authors execution of the novel was flawless. Coming from a long of police officers and being previously employed by the FBI, I would expect no less and he showed his knowledge perfectly about the subject. There’s even a little bit of romance in the book if you can believe it. It didn’t interfere with the storyline and was a nice little side story. It wasn’t forced and wasn’t really touched and it’s basically the average romance written by a man. There but not at the forefront of your mind. I appreciated the effort and felt that this romance was fit nicely into the storyline. As far as the suspense goes, there’s really no question as to who did, just why did it happen. A nice angle but I prefer the question of who not how and why. However, it was handled nicely and shows the author’s skill in not only police but in suspense writing as well. This suspense is different from what I normally choose or prefer and I don’t think that’s going to change, but I do want to read more by this author. This author’s execution of this novel is flawless and I loved how it turned out. I intend to at least read the next books in this series. After the cliffhanger, I feel like I have to to find out what’s really going down at CPD. I encourage this author to continue doing what he’s doing because he’s amazing at it. Though he didn’t fully convert me to police fiction fan, he did change a few opinions I have about the genre, including that all of them are boring. I intend to keep an eye on this author and suggest you do the same. 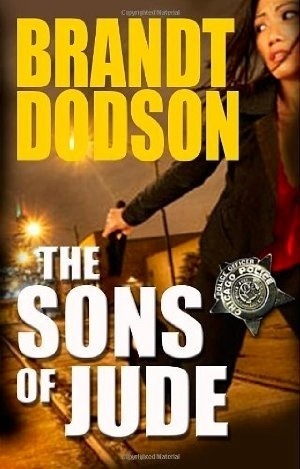 Overall, this book is a good police suspense and is perfect for fans of the genre. I highly recommend this book for fans of books about police officers. I give this book a three and a half out of five. Greta Olsen arrives in Central City, Colorado, as a mail-order bride. When she arrives in the tiny mining town, she is excited to marry Jess Gifford, a man whom she has come to know from his kind tender letters. But, her arrival is less than what she expected. Not only does Jess not know he’s to get married, but there’s another bride vying for his attention! Now Greta must evaluate why she came and whether or not she’s willing to move on from the past. Cora Johnson came to Central City from a wealthy family that no longer approves of her religious choices. 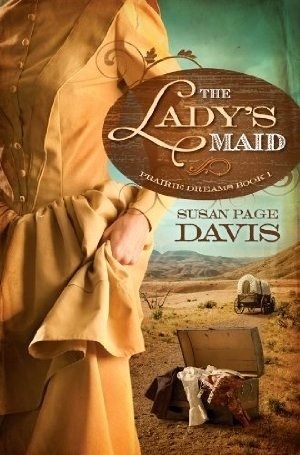 She decided to become a mail-order bride for a change of scenery and a change in lifestyle. When she arrives and finds not Jess, but his brother, and another bride for the unsuspecting groom-to-be, she’s enraged and confused. When she starts working in the Gifford general store she discovers a freedom she never knew before and knows that whatever happens, she’s staying in Colorado. When Jess and Zach’s grandmother, Granny, comes up with a way to solve the problem, everyone jumps at it. Jess will court Cora and his brother Zach’s will court Greta. But after a while, the lines become blurred and the couples find that they are attracted to the wrong person. Now they have to find a way to tell each other that they don’t want to marry who they’re supposed to, but instead the one they shouldn’t even consider. Will they be able to tell each other who they are really in love with or will they do what they should and keep it a secret until they die? Will Greta and Cora’s young friendship standout against the news that they each love the other’s beau or will it tear them apart? Will Zach’s and Jess’s relationship suffer or will it improve with the lies behind them? Will Greta be able to move on from her dead fiancé and accept love or will she spend the rest of her life mourning something that will never happen? Having read a book by Maggie Brendan previously, I already knew what to expect as far as romance went and I knew that I loved the book that I managed to get my hands on. What I didn’t know was if this book was going to be just as good, better, or worse than No Place for a Lady. What I got was not one but two romances both as good as before. However, I felt that because of double the romance in the same page count, the romances did suffer a bit. The revelation of love came all of a sudden and was a shock to the reader. Also up to the declarations of love there is little to no interaction between the courting couples let alone the couples that want to be together. However, once the revelations are made, the story kicks into a nice little romance that i would’ve loved to have seen throughout the book. The romances would’ve definitely been better if the author was allowed even thirty pages more. The storyline, due to the high amount of content needed to shove into such a small amount of space, seemed kind of rushed and disjointed at times. The begin inning started at a nice reasonable pace and then around the middle, the book was kicked into hyperdrive in what felt like a rush to get the book where the author wanted it. Though the idea was fantastic, I felt like it’s a hard idea to execute and though the author tried she didn’t fully succeed with this one. The characters, though, we’re well developed, but you didn’t really get to see who they really were due to the amount of main characters. Though I feel like this story would’ve been greatly improved with more pages, I feel like the characters were lovable and made you wish for the success of each couple despite the betrayal that takes place for it to happen. The characters in this book were a huge success and I give the author huge credit for using a condition that has affected everyone in my family and, to a lesser extent , me. Adding the ADD factor gave Jess’s character an amusing yet realistic aspect. 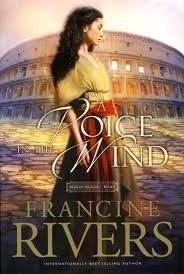 This author’s books are well written and she made me a fan of her with her first book, No Place for a Lady. Though I don’t feel like this book properly portrays her writing skills, I do still plan on reading the next book in the series and I still recommend this book for fans of the author. For those of you who haven’t read anything by this author previously, I encourage you to look at her Heart of the West series. I feel it represents her skill much better. Overall, not unenjoyable, but it would’ve been better if the word count was greater. This book is perfect for those of you who want to read an innocent romance with two couples. I give this book a three out of five. After her father’s tragic death and loss of fortune, Annabel and her family are now without money and they refuse to do their share of the village work, but are unable to pay the fee that makes their neglect acceptable. Now, Annabel’s family had been charged with neglect and now must make a choice, try and pay the outrageous fee, choose one of them to be an indentured servant for three years, or their personal favorite send Annabel off to marry a vile man, the Lord’s bailiff. Unwilling marry a man that scares her and unable to pay the fines, she sneaks away to become an indentured servant in Lord Ranulf’s home to save her family. It puts her in close proximity to the bailiff, but if she’s willing to do it nonetheless. Now she just has to try and do duties she’s never done before and try and stay out of the way of the lord, a man rumored to have a nasty temper. Lord Ranulf is a man haunted by his past and his scars. Scars he got saving a maiden from a wolf. Unwilling to trust anyone let alone beautiful women, he is less than cordial to Annabel when she arrives offering herself for her family. But, as he gets to know Annabel, he starts to believe that maybe she is different and maybe he can trust her. Maybe he can move on from his scars and his past, if only she could love him. Will Annabel and Lord Ranulf fall in love or will they find themselves keeping to societies strictures? Will Lord Ranulf be able to put aside his past and move on or will he give up his chance at true love because of fear and doubt? Will Annabel be able to love a man with only one eye and one usable hand or will she be too disgusted to see past his appearance? Will Annabel be able to shake to bailiff or will he continue to pester her and ruin her life forever? I picked this book by cover alone, which I find myself doing more and more lately, and sometimes that’s a mistake. I’m happy to report that this book isn’t a mistake at all. 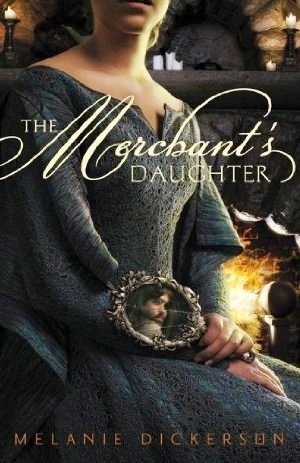 It was a beautiful historical romance written for young adults and it kept me entertained throughout the whole thing. I actually finished this book in two nights of reading, which is impressive for me. The romance in this book won’t really make your heart flutter, but it will take you back to your childhood. The author decided to make this romance a remake of the classic, and my personal favorite, story of Beauty and the Beast. That in its self brought it up a few notches. That being said, if you’re looking for a romance with a lot of development and tender moments, I recommend you look elsewhere. The romance was good but more in an innocent preteen way. Making it perfect for that romantic preteen in your life. I feel like the history in this book was mostly accurate, though are some things that I feel might have been inaccurate, the biggest being the Bible. For anyone who’s a history buff, did people besides priests and such have Bibles back in 1352? I’d like to know that, considering Annabel’s priest doesn’t have a Bible but Lord Ranulf does. Other than that though, I couldn’t detect much that seemed off to me, giving this book another step up. The characters however, felt underdeveloped to me. The mean people were mean with no explanation as to why, the nice people were nice. That’s it. There’s no real depth to them. I finished the book with the same opinion that I started, indifference. I didn’t feel that I was really allowed to fully view any of the character’s especially the main ones. I feel like the author could’ve put more thought into their development and also the stilted conversations and interactions between the characters. This greatly brought the book’s quality down. Despite some historical inaccuracies, a tweeny feel, and bad character depth, I somehow actually enjoyed this book. I think it has something to do with the fax that Beauty and the Beast type books hold a special place in my heart and I always enjoy reading the remakes. I do intend to keep reading books by this author, considering she likes to do remakes of classic princess tales but also because if I think like a tweener, I actually really enjoy her books. Besides who doesn’t need to stop and think like tween or teen every now and then. Overall, this book is absolutely perfect for a tween or young teen, but adults might find this book lacking in many areas. 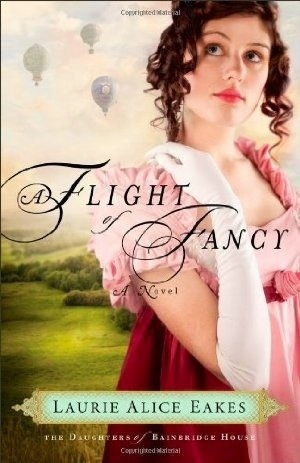 I highly recommend this for young readers, particularly one who love romance. It’ll satisfy their romance craving without making you worry what their reading. I give this book a three out of five.